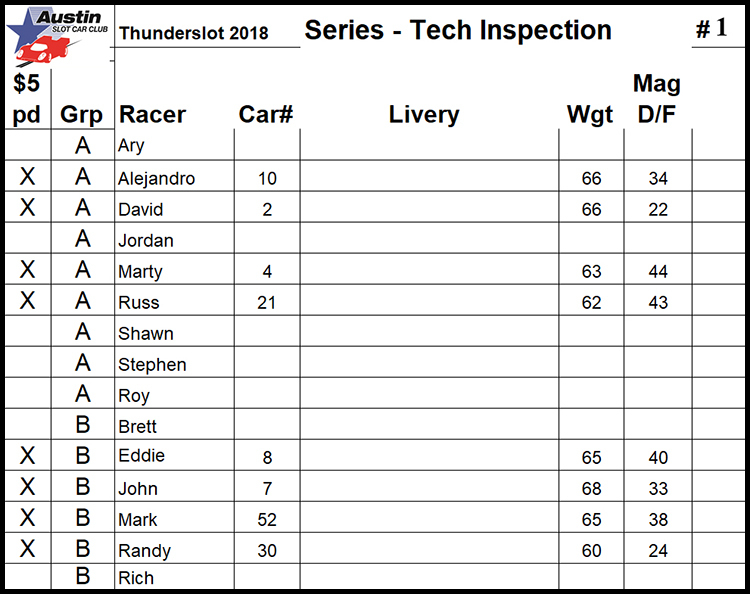 The first race of the Thunderslot 2018 race series was a real barnburner! I believe that it was the fastest overall race that we have ever run. 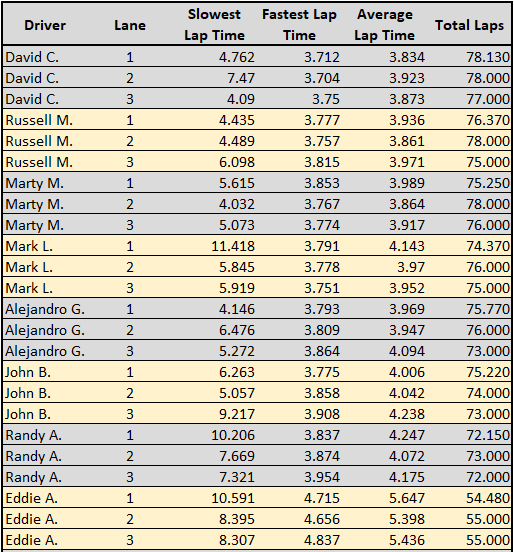 Everyone posted personal fastest laps and lap totals. The Thunderslot Lolas proved to be very fast and controllable; deslots were few and far between. The action was very close with cars running together lap after lap. In the end David came out on top with a terrific 233 laps and Russel and Marty were only two inches apart for second and third. 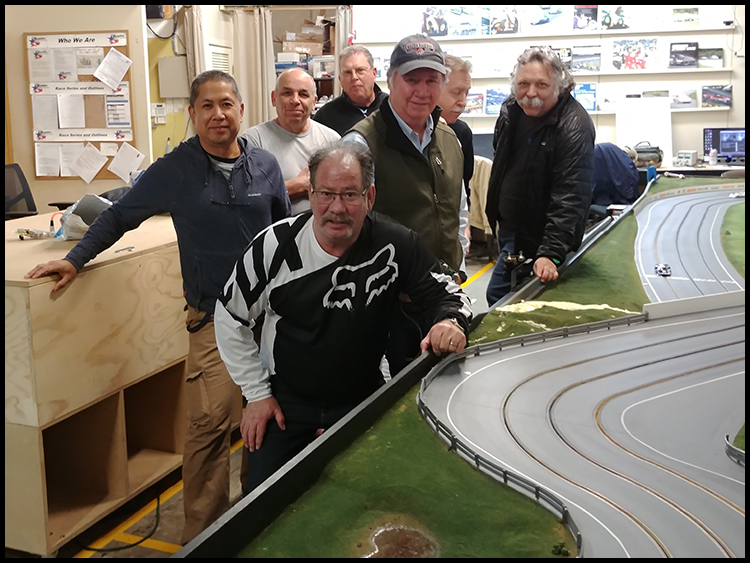 John was first in Group B, followed by Randy, and new member Eddie was third in his first race. A great start to a terrific series!